this being my first real adventure in toe-up socks, i was a loss as to what bind off to use. sensational knitted socks didn’t have a recommended bind-off (did it? )…and i’ve read enough blogs to know that i needed something stretchy. a quick google search didn’t turn up much, although i did rediscover laurie b’s toes and heels webpage (it’s a fantastic collection of links for different toe and heel techniques…thanks!). it may seem like a lot of work, but i think this bind-off is espcially pretty and very elastic. i hope you enjoy it as much as i do! 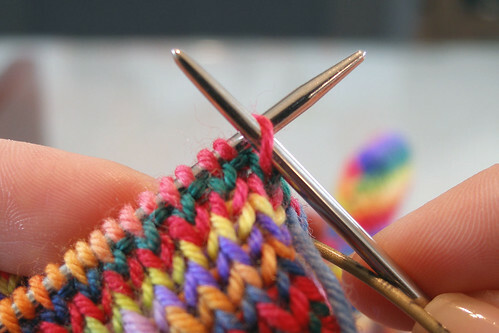 after you have finished the desired length of your k1p1 cuff, break off a length of yarn about three times the circumference of your sock. thread through a tapestry needle to begin. note: the photos are associated with the text below it. please leave me feedback – this is my first tutorial! in the first stitch (a knit stitch) thread the needle from back to front. 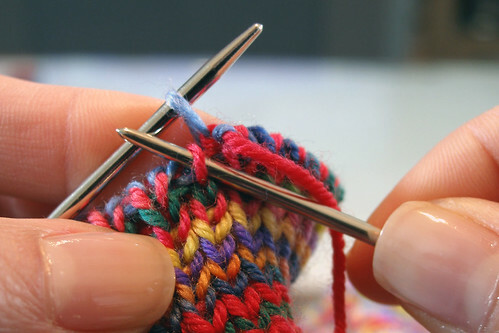 pull yarn through and snug gently. 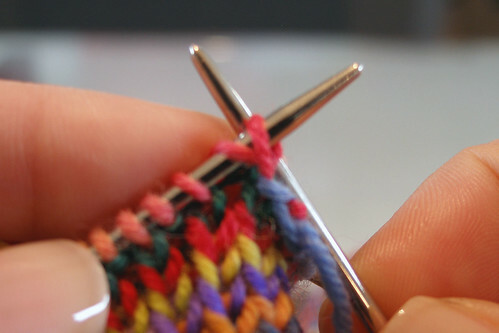 in the next stitch (a purl stitch) thread the needle from front to back. pull yarn through and snug. 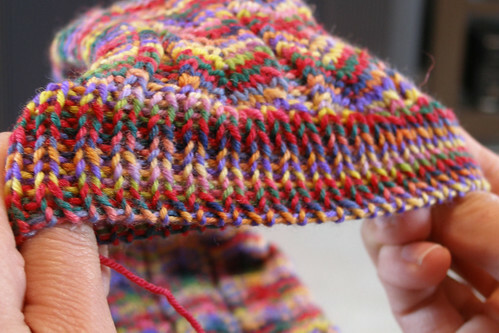 the yarn should look something like this. 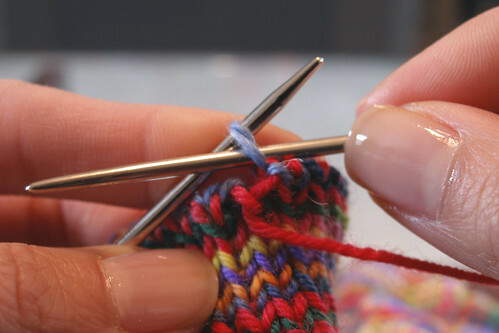 go back to the first knit stitch and thread the needle from front to back. pull yarn through. snug. 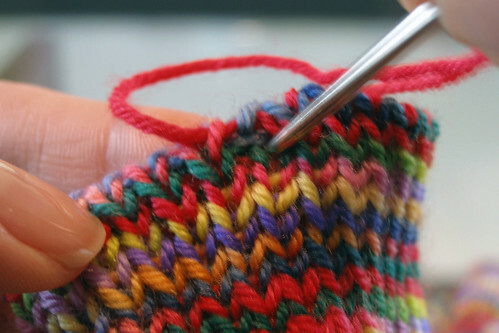 slip this stitch off the needle. 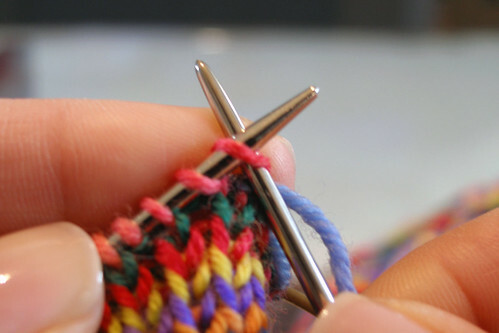 *in the next stitch (a knit stitch), thread the needle from back to front. go back to the purl stitch (now the first stitch on the needle) and thread needle from back to front. 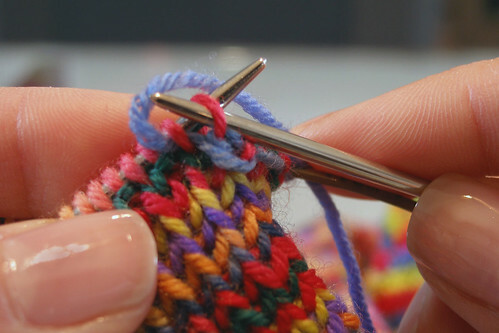 slip this stitch off the needle. 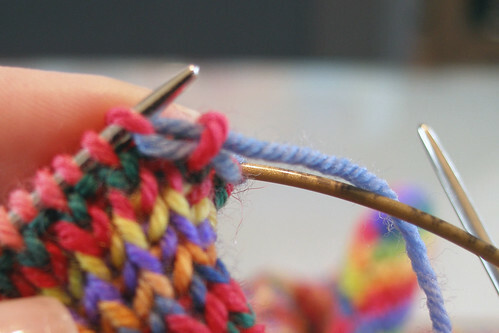 the second stitch on the needle should be a purl stitch. 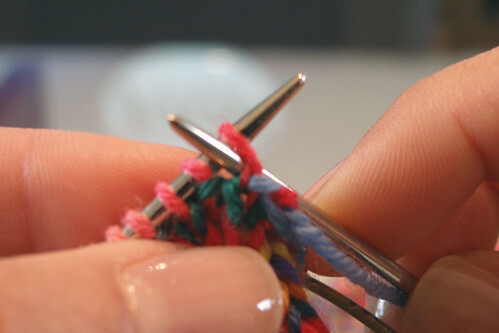 you will need to thread your yarn through this stitch from front to back . 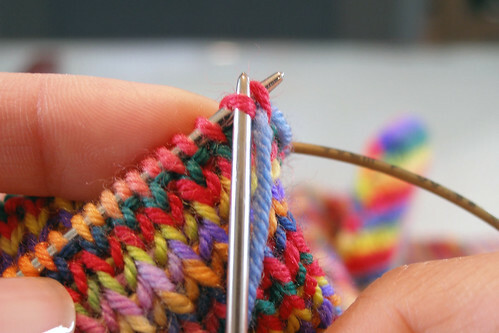 BUT, you need to do this from BEHIND the first knit stitch. 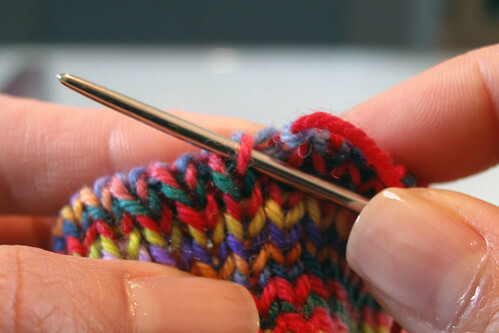 to do this, approaching from the back, put your needle between the first and second stitch. now thread the needle from the front to the back of the purl (second) stitch. it may seem a little awkward, but it will get easier. 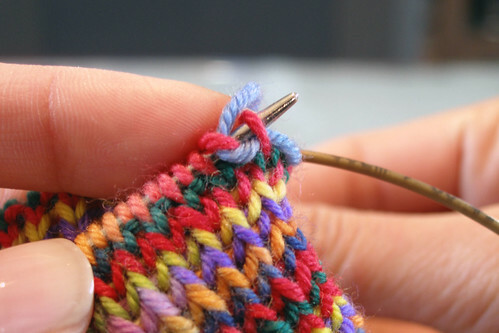 now, in the first (knit) stitch, thread the needle from front to back. pull the yarn through. snug. 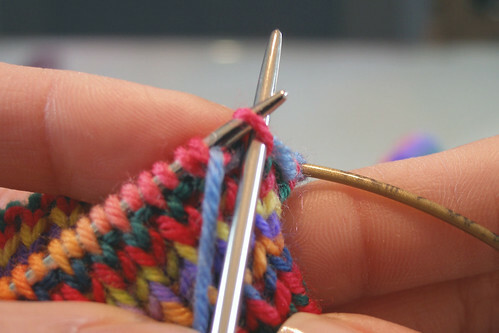 slip stitch off needle. 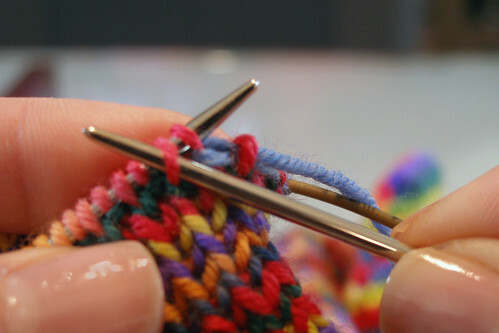 continue until the last purl stitch. thread the needle from back to front on the inital knit stitch. thread the needle from back to front on the last purl stitch. now thread the needle once more on the inital stitch. pull yarn through. snug. last step!! pull needle through to other side. weave in ends. viola! a stretchy k1p1 invisible cast-off!